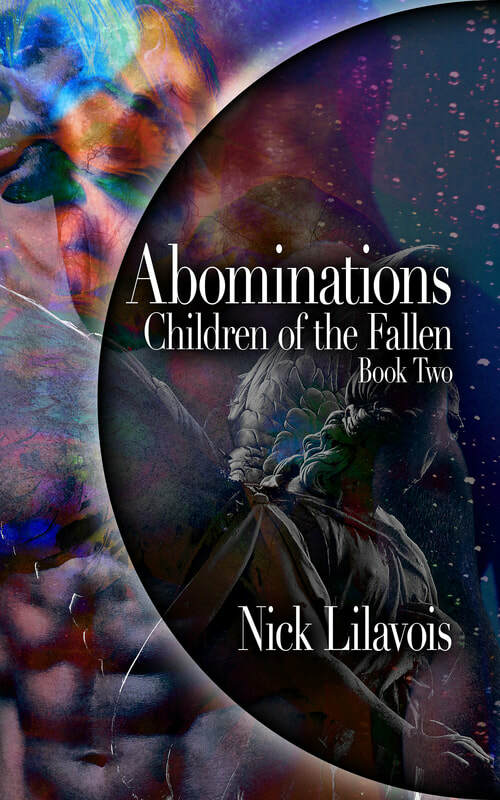 ​This is the home of Nick Lilavois, author of "Abominations: Children of the Fallen", a supernatural thriller with psychics, aliens, elves, four competing secret societies, and many LGBT characters and themes. Short Tales: Assorted short stories, poems, and other works. Tall Tales: Slightly longer stories, some of which may become novels. 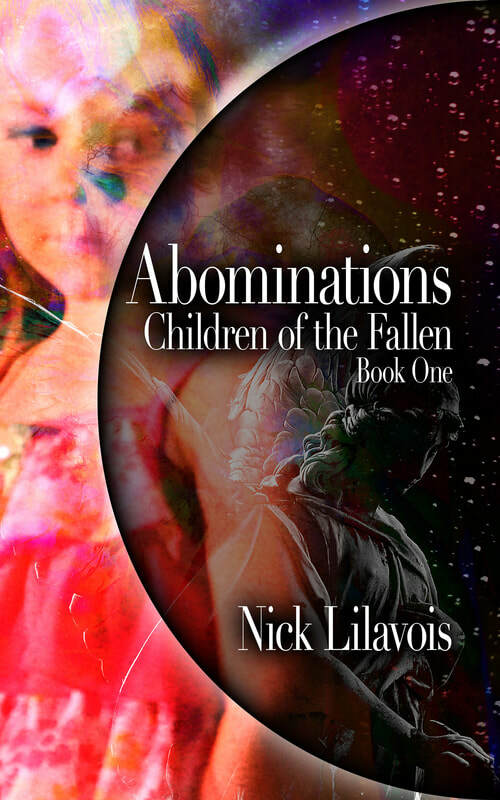 Abominations: Notes about the world and characters in "Abominations". This section is entirely spoilers for the book. Contact: You can email me your thoughts and opinions. I would love to hear what you think of my work. ​What begins with an investigation of a missing girl leads Inspector Kalev Tzedek to discover purple-eyed people with supernatural powers, underground cities of alien hybrids, magical fairy kingdoms, and four ancient secret societies named for three of the suits of the Tarot- A religious order (cups), a military brotherhood (swords), and a university of magic (wands). In the process, he also discovers a whole new life for himself. Ernesto Ramirez is an empath who makes people reveal inner truths and achieve catharsis. Mallory DelGatto, a girl dealing with a dark past and an even darker future, starting with being abandoned by her mother at birth, and then her mother returning to try and kill her. Darnell Nobody is black bisexual teenage boy who is unnoticed. That means people can kind of see him, but no one regards him as important, or retains any memories of him, including his own parents. ​Last is Prince Morgan, a boy born to a fantasy kingdom where women rule, and only girls are born in the royal line. The inspector also begins to discover three of the four secret societies based on the suits of the Tarot. The Order of the Chalice (cups) is a religious organization within the Catholic Church. The Military Brotherhood of Damocles (swords) is run by UFO aliens living in vast underground cities. The Domdaniel Scholomance is a school of magic (wands) run by the Illuminati, which consists of magical beings of great power. Coins is the most secretive of them all, and perhaps the most deadly.